Isn't this a gorgeous quilt? 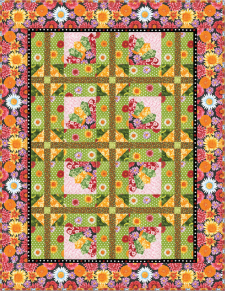 They're kinda hard to spot at first, but if you look closely at the center rows of blocks, you'll see Dresden flower petals! 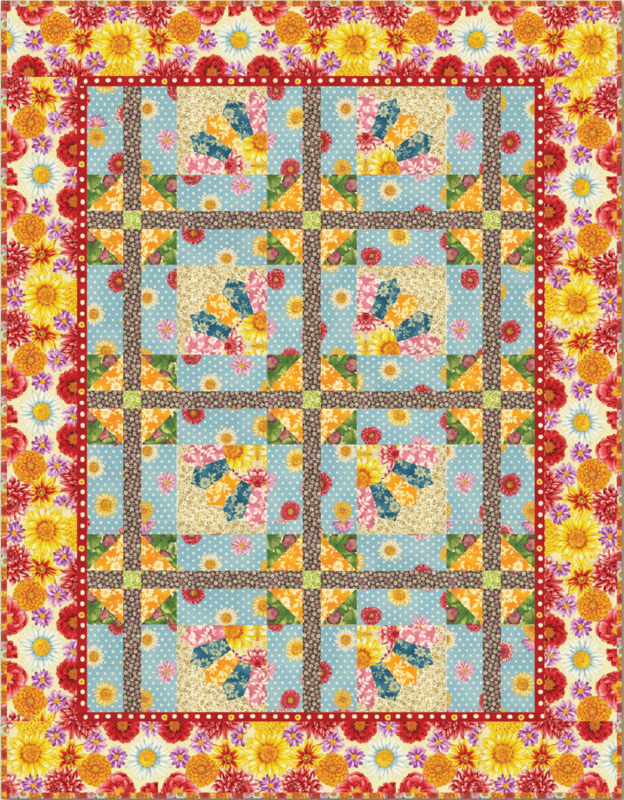 Jean Ann Wright created this pattern for Robert Kaufman Fabrics, and has put together a wonderful project pattern download for you! 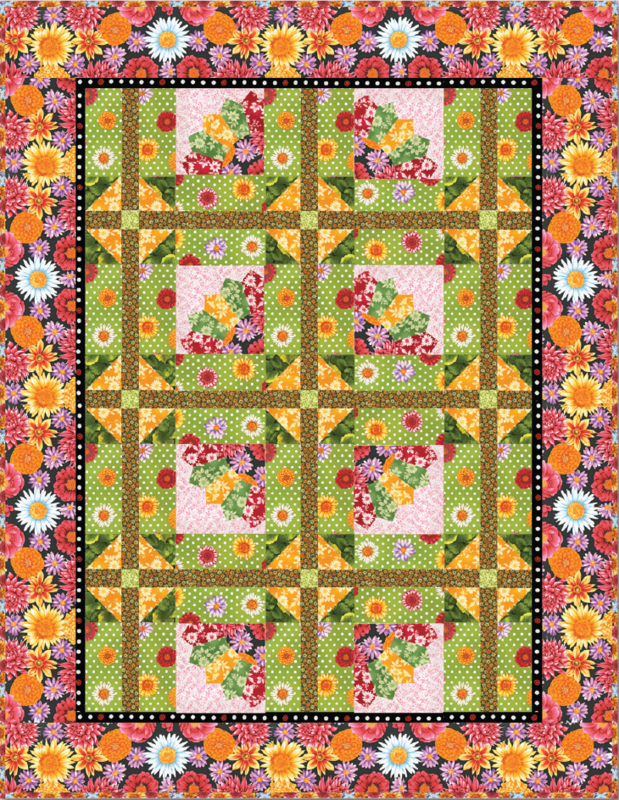 Her project includes both color stories shown, as well as the templates and instructions you'll need, and it features Robert Kaufman's Flower Shop collection. 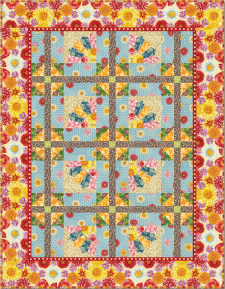 This is a great project for any level of quilter Enjoy!